A lovely new way to store jewelry and precious keepsakes. 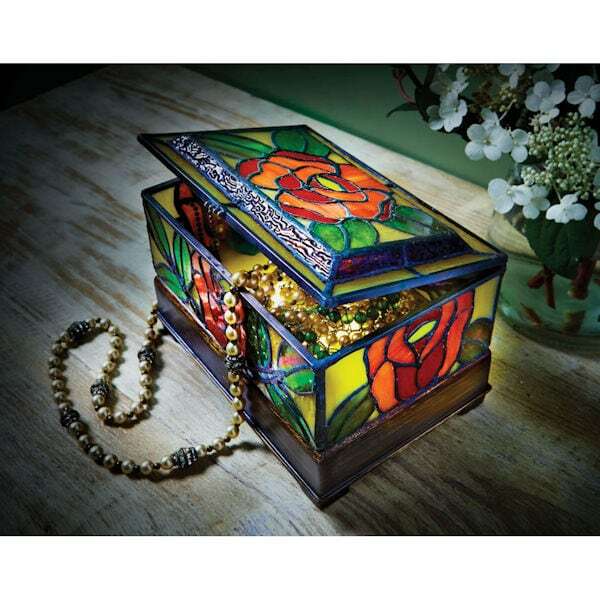 Crafted Tiffany-style, art glass joined with copper foil, the box has a hinged lid and carved wood base. LEDs inside make it glow from within, like a stained glass window lit by the sun. On/off switch and timer. Takes 3 AAA batteries (not included). 8"w x 5 ½"h x 5"d.